Fresh from unveiling the 2017 MX-5 RF, Mazda was recognized by automotive journalists from around the world during the annual World Car of the Year Awards presentation at the New York International Auto Show. As the only auto maker to have nominations in both the World Car of the Year and World Car Design of the Year categories, Mazda entered the final round with an advantage over the other auto makers. The fourth-generation Mazda MX-5 Miata (known as the Mazda Roadster in Japan) won both the titles of 2016 World Car of the Year and 2016 World Car Design of the Year. It is the second Mazda to win the World Car of the Year award and the first time a Japanese model has won the World Car Design of Year award. The Mazda CX-3 was a finalist for the 2016 World Car Design of the Year. The MX-5 Miata and CX-3 were designed with Mazda’s dynamic KODO – Soul of Motion design philosophy, where overwhelming quality and style are showcased with the utmost in beauty and sophistication. 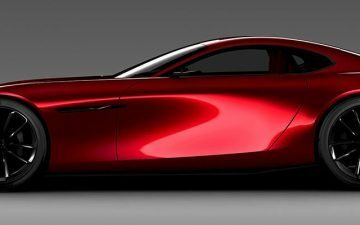 Mazda’s successful history with industry awards in vehicle performance is impressive but the World Car of the Year awards are further proof that the brand has gained the much-deserved recognition for its design evolution.